Darling Kitten accessories to stitch in quick and easy Long Stitches! 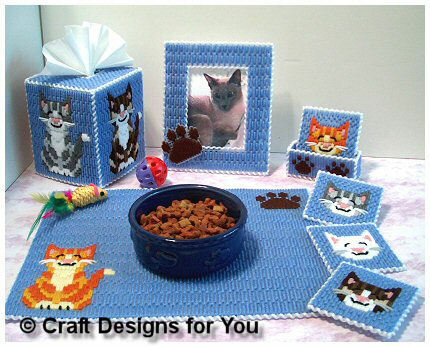 and matching coaster set, frame and placemat for you or pet mat for your cat! Calico, Grey Tiger, White and Ginger Kittens adorn these cute accesories. Frame holds standard 3-1/2" x 5" photos.